I enjoy talking Afrikaans to Flemish people. They assume the bits they don't understand are because of language differences rather than my really bad Durban Boy accent and limited vocabulary. If I don't know the Afrikaans word, I can just throw in the English word. Again, the Flemish person won't know this is because I didn't know the word. They are just excited that they can tell what I am trying to say. 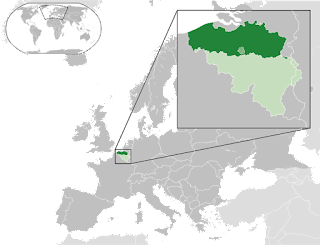 Flemish is the variety of Dutch spoken by those living in the Northern part of Belgium called Flanders. Actual Afrikaners know how bad my Afrikaans is. The irony is that until post-Boer War German-inspired National Socialism got in the way... Afrikaans was a kitchen language. It took the flavours from all the people who were mixing on the Southern tip of Africa from sea-based migration with local people. Afrikaans is the home language of 75% of mixed-race South Africans. Similarly isiXhosa was heavily influenced by people on the frontiers of the land-based migration. These two languages had their ears open. I like the idea of language going back to the kitchen. Far less emphasis on standardisation, and far more emphasis on getting excited by what people are trying to say.